We know, it’s been a rough week. But if there’s one thing we’ve learned in our time on earth, there is nothing like live music to help us forget the oppressive weight of the patriarchy, even if only for a few hours. Sooner or later, será ley! In the meantime, soothe your soul by going to some concerts and supporting local artists. Dream pop combo La Otra Cara de la Nada, synth pop artist/Mexican revolutionary Panchito Villa and self-defined ‘internet rock’ outfit Tobny Houston will be celebrating the 10 years of C.C. Matienzo with a killer header you won’t want to miss. Rock ‘n’ roll duo Camionero, garage rock trio Encías will be cranking up the volume for the second edition of concert series Tomate un Jueves, at La Gran Jaime. Opening duties will be in charge of experimental noise project Reverendo Trash X. 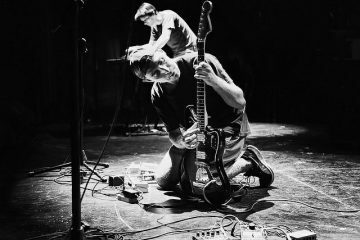 At this point in time, we don’t even need to introduce IndieFuertes – the curated concert series has proven consistent in showcasing the freshest new artists in the Buenos Aires indie music scene time and time again. On this occasion, the chosen ones are dream pop outfit Isla Mujeres and fuzzed-out psychedelic rock band Los Aullidos. Earnest indie rockers Las Jóvenes Idealistas are back in Capital Federal to present their latest effort, ‘Escuela Municipal de Kayak’. Joining the party will be slacker lo-fi pop heroes 107 Faunos, and anthemic five-piece rock combo Cabeza Flotante. Concert series Sesiones brings you indie troubadours Tobogán Andaluz and catchy indie pop savants Los Besos in a night suitable for all audiences with equal amounts of heartbreak and sing-along choruses. You also have this excellent Friday-night option: a veritable smorgasboard of the arts, featuring performances by acts such as Jazmín Esquivel, Fradi Fradi Fradi Fradi Fradi, and Ivo Ferrer, as well as special acoustic piano sets by FOK ELECTROCHONGO and Julian Desbats. There will also be a visual arts exhibit and readings by Guillermo Masse and Flor Viniarsky. Get psyched. Los Espíritus, so hot right now. The Santanesque psychedelic rock band will be bringing their ayahuasca-fueled songs to the legendary Teatro de Flores. Bluesy rock ‘n’ roll trio Mambo Surf will have the honor to inaugurate the evening. Buencebú turns 27 with a lineup that’ll leave you trippin,’ as per youzhe. Playing live will be experimental ensemble LS Cmpdnc SCNC, psychedelic cartel overlords Flores de Sinaloa, and honest-to-God rock ‘n’ roll band Valle Inquietante. Dark Side of the Party is back to help you satisfy the pitch-dark existential void in your life, one band at a time. 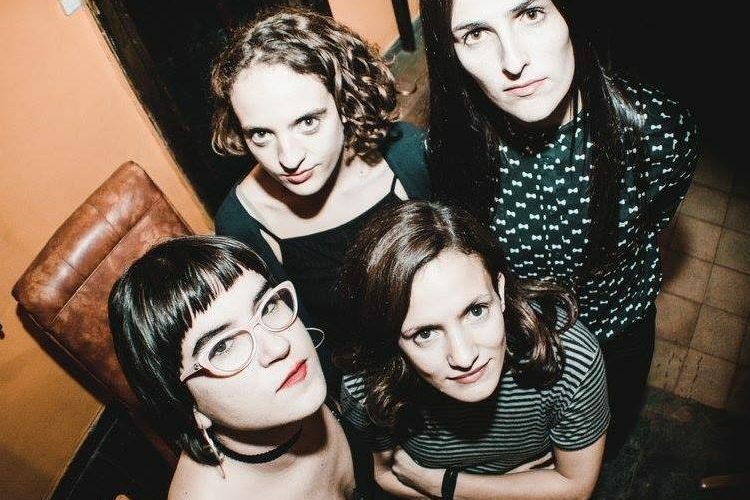 There will be live shows by platense indie rockers Limbo Junior, Pérez, and Hojas Secas, and also art expos, record stands, and other goodies for the sensitive souls. Hold onto your seats – this is a wild one, you guys. Garage rockers Los Muchachos de La Secta, drone-y synth rock combo METADRON, noise rock duo Metal Cobra, and lo-fi surf rock project PradoTown will be performing live at our beloved Espacio Cultural Mi Casa. Sadly, winter concert series “Ellas También” is coming to an end (at least for now), with its third and final installment. This time around, it’s folk singer-songwriters Carolina Donati and Chipi Chipi (Ivanna Rud) who will be performing, fighting the cold through the power of live music. The super-secretive Una.casa opens its doors once again for the tenth and final installment of Ciclo Intromisión. 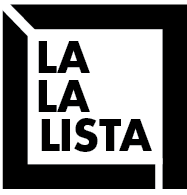 In this last edition, you’ll get to enjoy live performances by eclectic artists such as Catriel Nievas, Joa Joys, Frasco Bosque (Ana González Gamboa and Juan Mazzón), Agustín García Santillán, Estación Z, DolChi, and Javier Areal Velez. 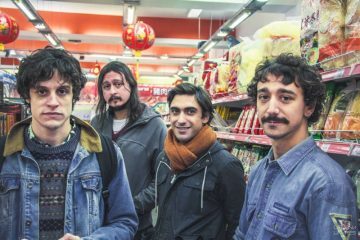 Smooth pop pranksters Gativideo, upbeat synth rockers Barco, retro rock outfit Las Sombras, and claustrophobic electro-rock band Peces Raros will be playing Festival Buena Vibra at CC Konex. The experimental, intricate rock band Efecto Amalia is presenting their latest LP, ‘Naturaleza Transitoria’ at Espacio Cultural Mi Casa. Joining them will be alternative punk rockers Ecos Noventa, and punk-pop project Postales. 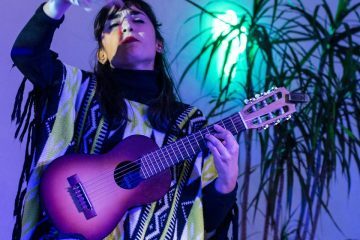 In another winter-themed event, folk ensemble El Mar, Les Presentes (new project of singer-songwriter Jaz Pimentel), and percussionist Sofía Naara Malagrino will be sharing their balmy music with us to fight off the wintertimes blues (aka the oppression of the patriarchy). Siempre Al Frente, Extintas Especies, Alfalfa, and SENO will be rocking the stage of El Emergente Bar, where, in addition to the live shows, there will be stands with all kinds of responsibly-sourced art goodies that you can buy directly from the artist. Gloomy, atmospheric synth rock outfit Caballero Rojas and stoner rock band Los Peces will be playing live at the third edition of Infierno Attack! At CC Konex. This one is for the house music fans. Bside is doing a pre-feria special at El Bar de Kowalski, with a lineup of DJs and electronic artists Para Llevar, Elektor, Melej Melej, Toto, and Ricardo Cuevas. Nothing better to help you forget about your Monday blues than some good ol’ sunny power pop. Los Andes will be presenting their first LP, the mellifluous ‘Obras Cumbres’, by playing a live music show at Sheldon, in an evening that promises to be a total endorphin rush.